Ou natural head lice treatment is naturally derived from a botanical complex of pure plant oils and essences that aids in the removal of head lice and their eggs. A kids skin is like a sponge which absorbs pretty much all of the chemicals within the skin and hair care products they use. The scalp has over 300,000 hair folicles and 200,000 sweat glands. 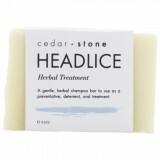 It's important to your child's health that you use non-toxic remedies to treat such things as head lice. Head lice infection is highly preventable when you use eco.kid green head lice treatments which are rich in pure essential oils that are nice to use on your children, but head lice hate! Head lice don't live on hair brushes, combs, pillows, sheets or hats. Head lice can't fly or jump, they only transfer through head or hair to hair contact. Head lice legs are perfect for holding on to hair. Head lice eggs are glued tightly in a ring around the hair shaft and they like to lay their eggs around the nape of the neck. 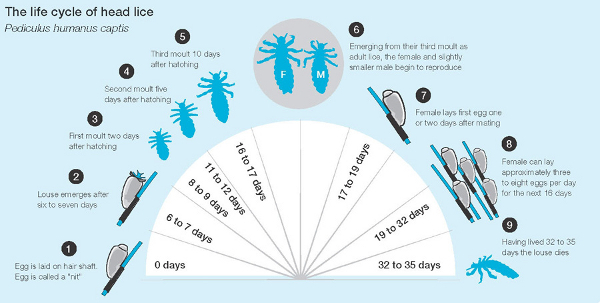 Approximately 20% of kids between 3-14 years old have active head lice or viable eggs at any one time. Clean or dirty hair makes no difference, prevention is always better than cure.